Wimbledon champion Roger Federer made a victorious return to action as he recovered from a set down to beat Germany's Mischa Zverev 3-6, 6-4, 6-2 at the Stuttgart Open on Wednesday. “Three months is a long time, it's longer than the year-end break. 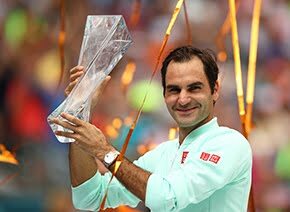 So I'm very happy returning on good terms onto the Tour,” Federer said. “It was difficult, I missed some chances in the first set, played one bad service game and he connected well at the right times, and I got behind. Federer can reclaim the No. 1 ATP Ranking from long-time rival Rafael Nadal with a run to the championship match in Stuttgart. The 36-year-old lost to Aussie Thanasi Kokkinakis on 24 March during his opening match at the Miami Open. The Swiss has long favoured the grass. 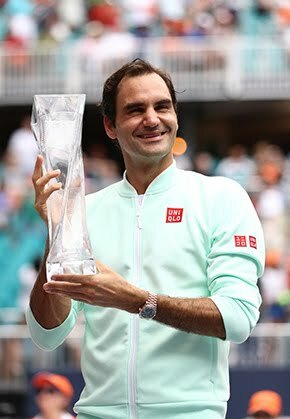 Seventeen - nine at the Gerry Weber Open in Halle and eight at Wimbledon - of Federer's 97 tour-level titles have come on the surface, and he's won 87 per cent (165/189) of his grass-court matches. Zverev, though, covered the net well and landed enough first serves to take advantage of a slow start from the Swiss. Federer had four break chances during Zverev's first three service games, but the German erased them all and then broke Federer to love in the eighth game. 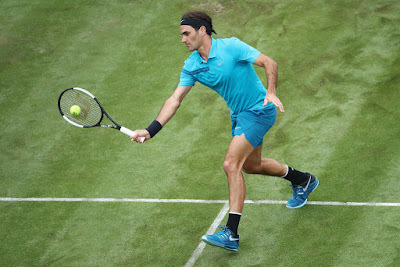 The German had never won a set against Federer in their five prior ATP Head to Head meetings, including three on grass, but he clinched the opener with a drop volley. Federer cranked it up a level in the second set, twice breaking Zverev to force the decider. Federer began to pick apart the lefty's serve-and-volley tactics even more in the third set, breaking again the fourth and eighth games. The top seed had fallen to Tommy Haas in his Stuttgart opener last year. Federer will next meet Argentine Guido Pella or Indian Prajnesh Gunneswaran.